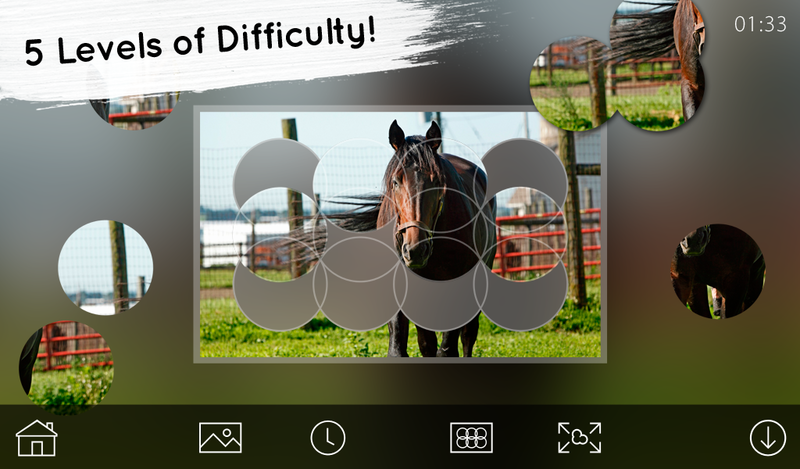 No more looking for notches that match… you get to focus on an interesting image and see how the circle puzzle pieces overlap. 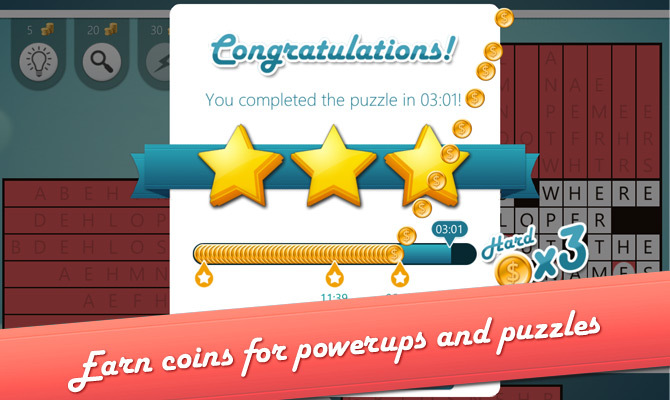 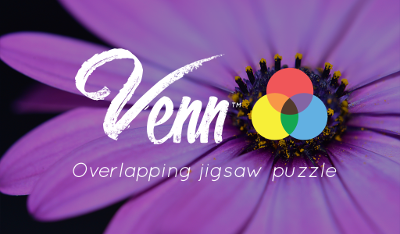 It’s an entirely new puzzle system that you have to try! 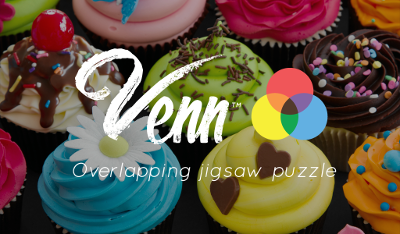 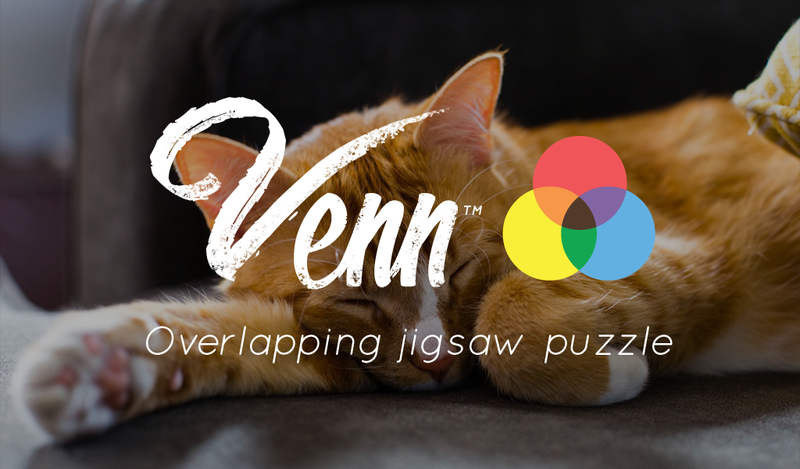 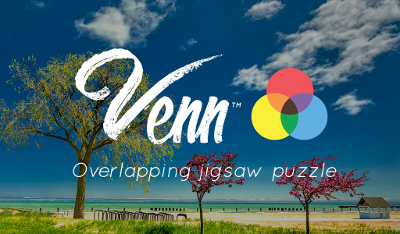 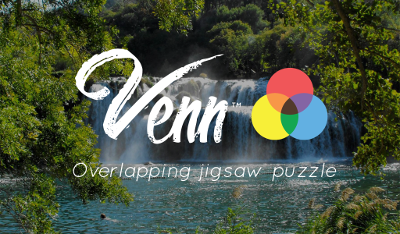 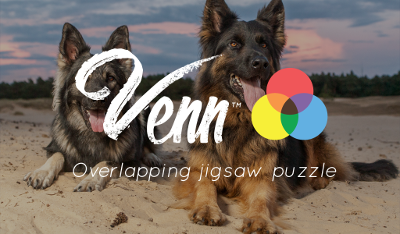 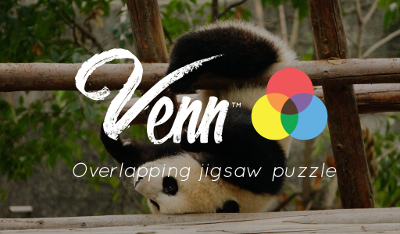 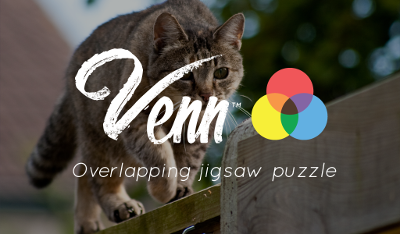 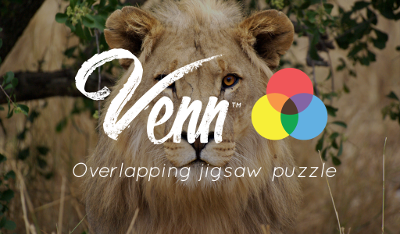 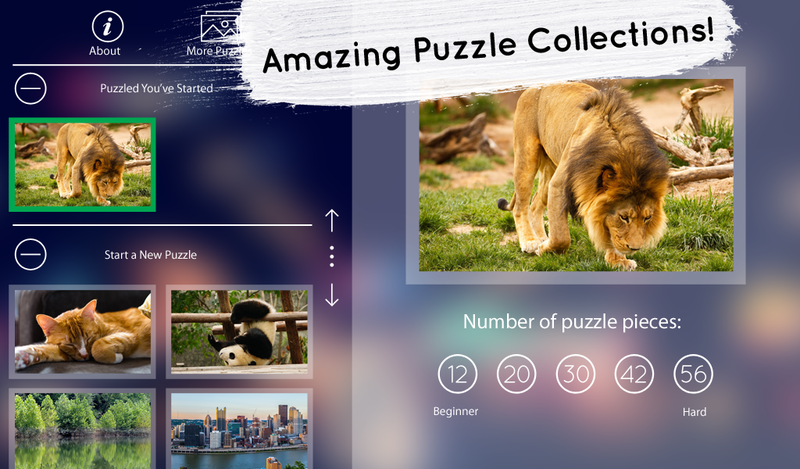 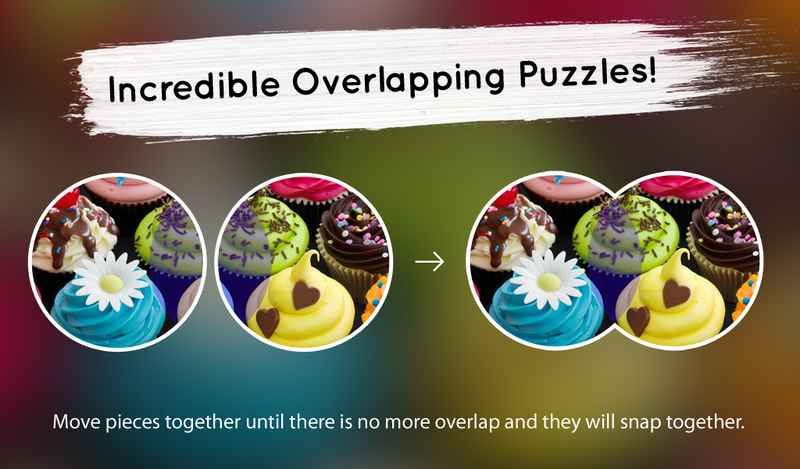 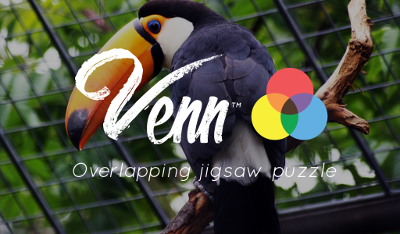 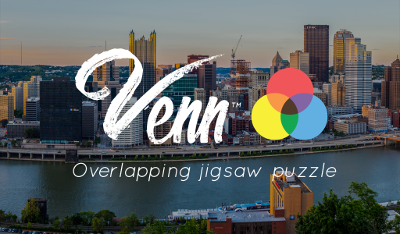 We’ve reinvented the jigsaw in a way that makes the image jump off the page. 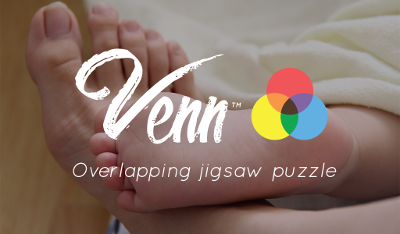 You assemble the pieces by overlapping circles, just like in a Venn diagram. 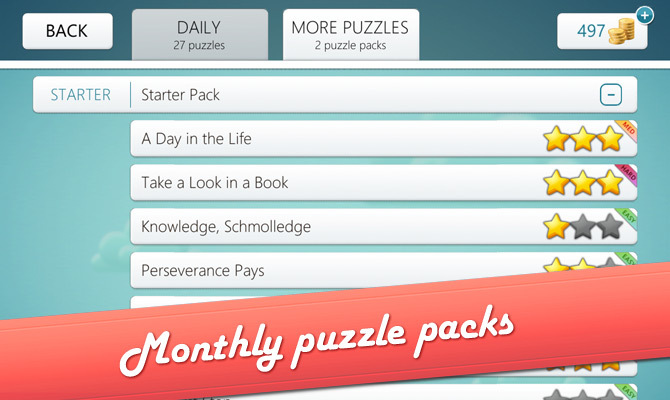 Best of all, there are a ton of packs! 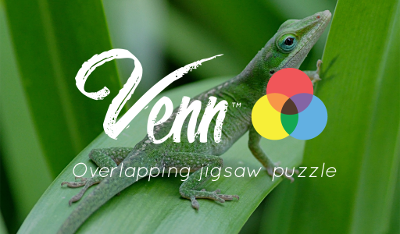 Can You Puzzle Out the Quote? 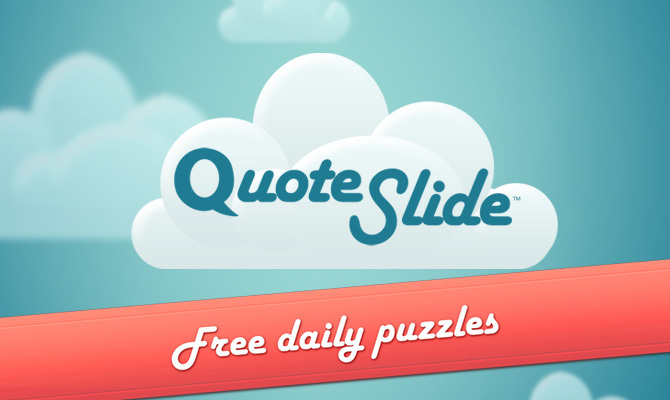 Quote Slide is a challenging word puzzle featuring funny and thought-provoking quotes from a wide range of speakers. 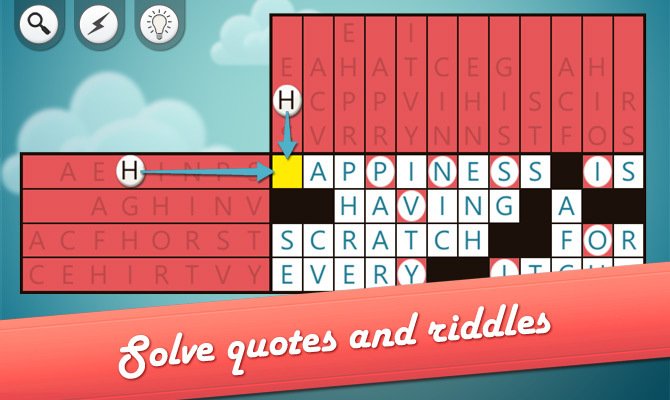 You’re given horizontal and vertical letter clues, and it’s up to you to arrange them to spell out the quote! 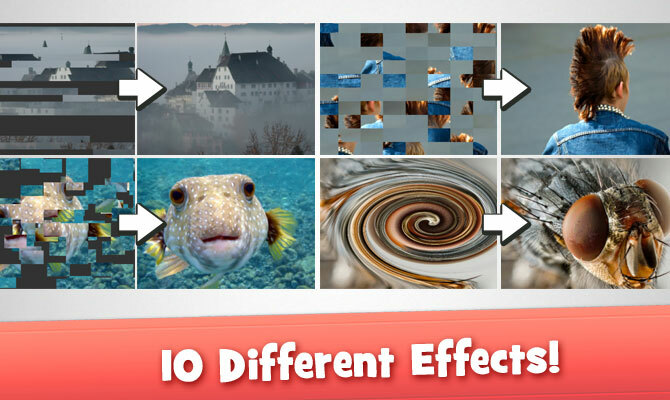 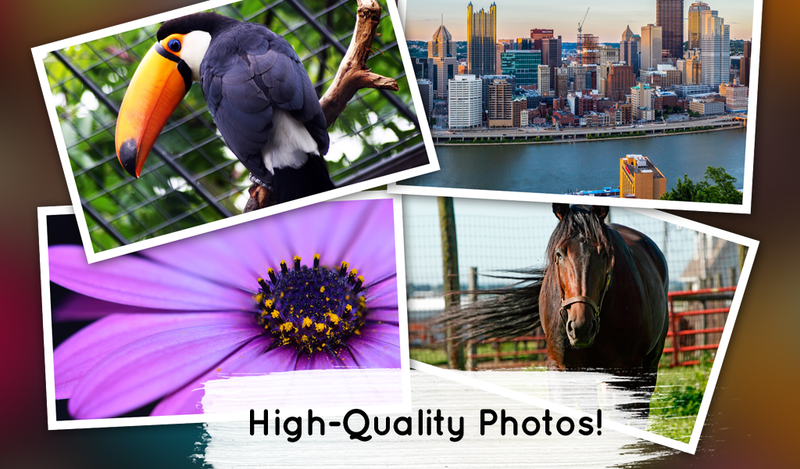 Now you can play the same great animated effects with our huge collection of high quality animal photos! 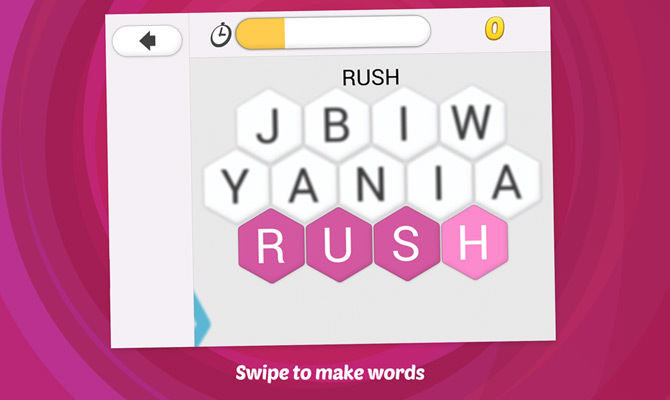 Rush to find as many words as you can before time runs out! 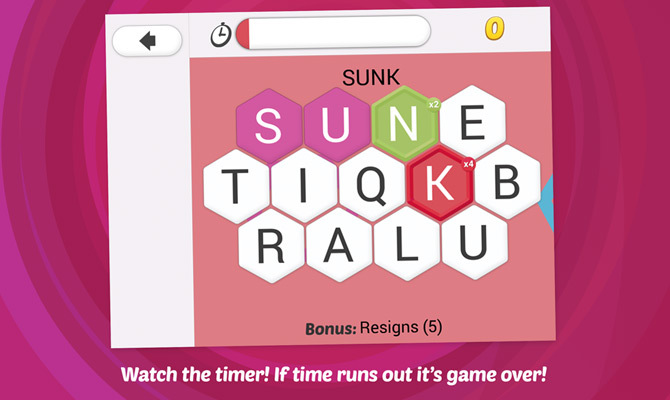 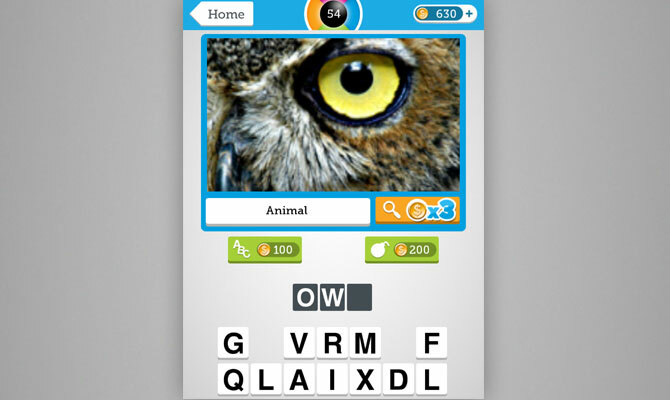 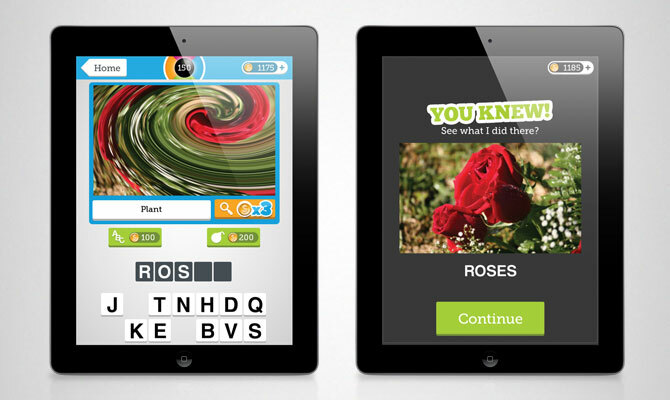 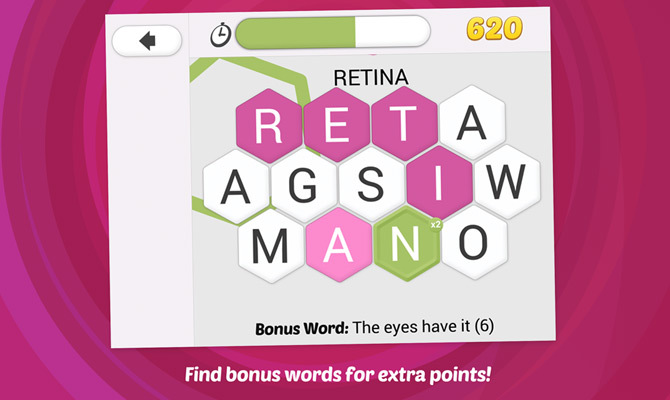 Just swipe your fingers across the letters to form words. 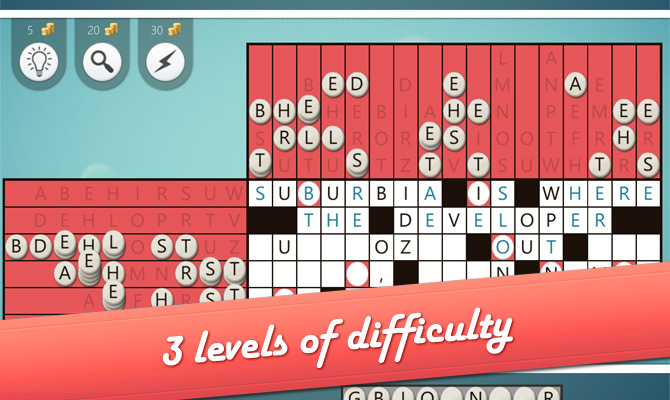 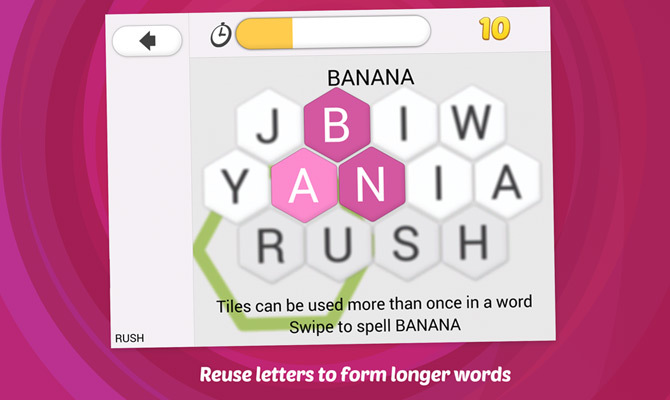 You can even use the same letter tile more than once in a word! 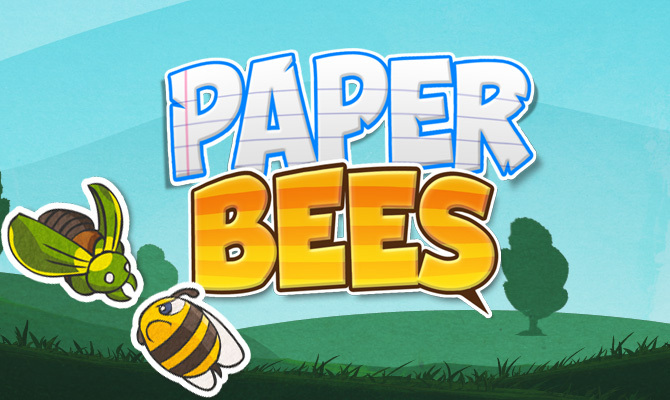 Help the paper bees defend their hive against attack! 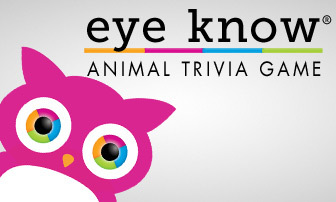 They must fight off ten different types of unwelcome pests, including mosquitoes, stink bugs and exploding beetles. 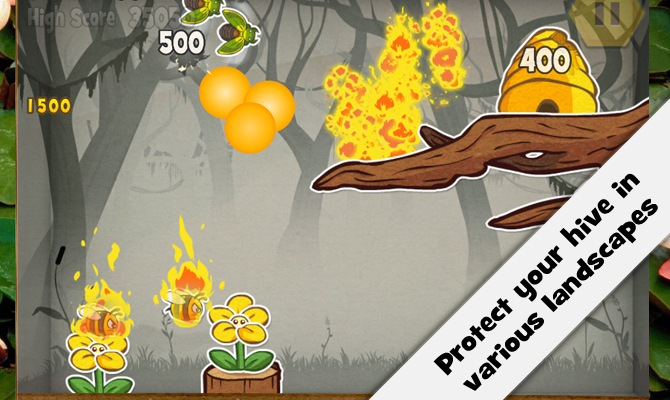 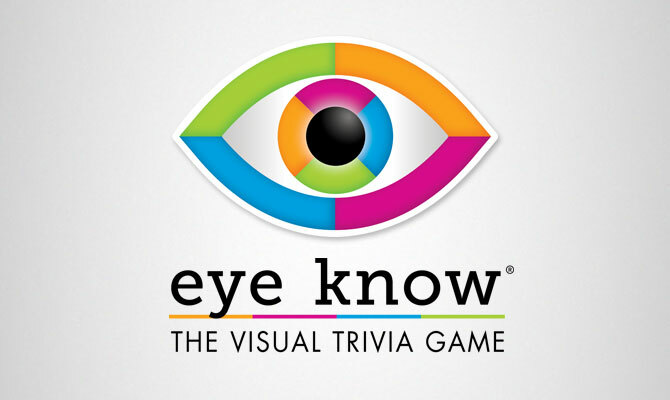 The game features 45 challenging levels, spread over a meadow, a swamp, a winter, and an Egyptian landscape. 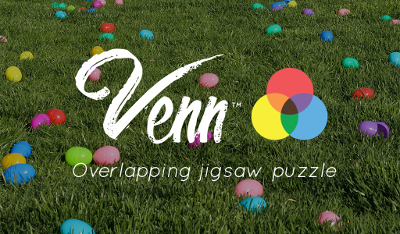 Ready for a monster of a good time? 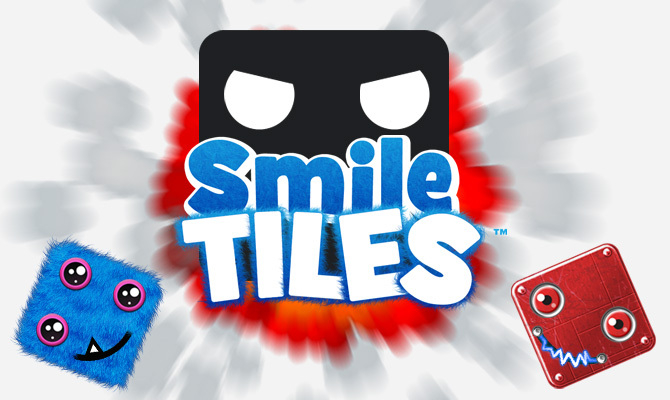 Play Smile Tiles, a unique take on puzzle matching games! 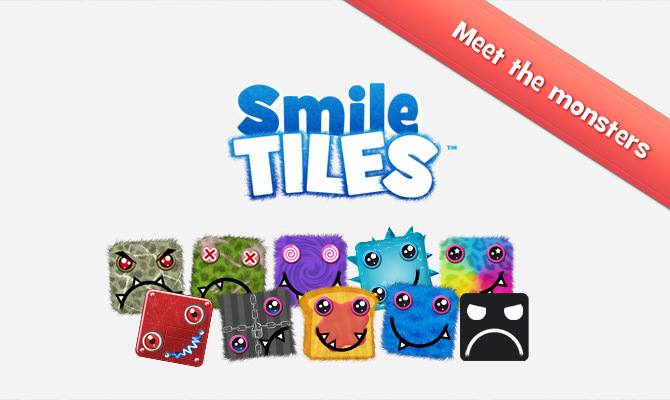 Smile Tiles features 10 different monsters, each with a unique personality! 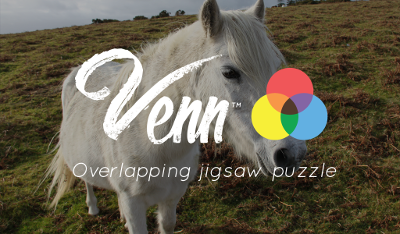 Boomy was never built quite right, Dizzy is totally out of control, and Wheezy has never been able to get over his cough. 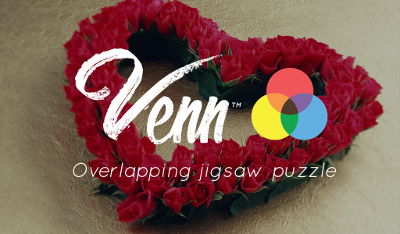 You will learn to love them all!